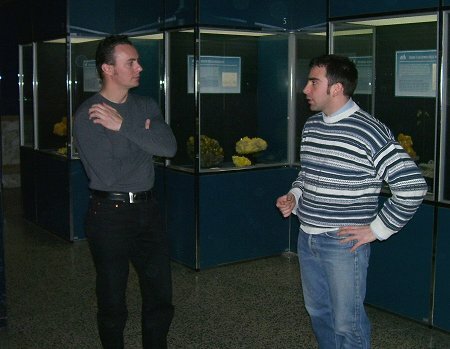 While in Italy this past March Dr. Alessandro Genazzani and Emanuele Marini organized a trip for me to visit with Dr. Federico Pezzotta in Milan. 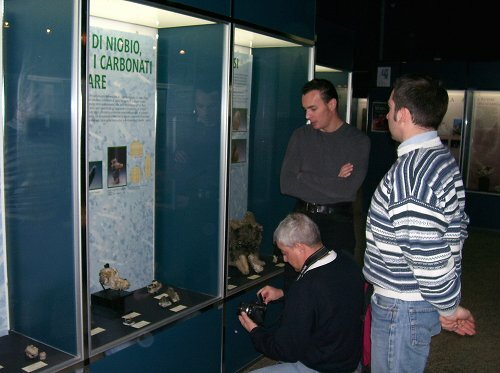 His University office is in the same complex as the Milan Natural History Museum. 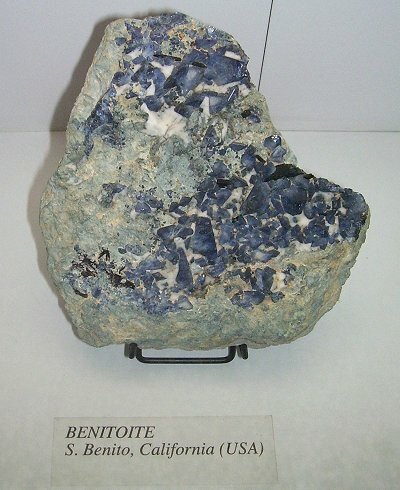 So, there was a rare chance to be given a tour of the museum by Dr. Pezzotta and then an even rarer chance to see his personal Elbaite collection from Elba Island - most of which was self collected! 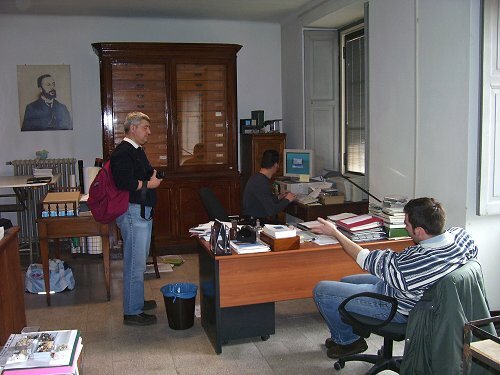 From left to right Alessandro, Federico and Emanuele in Federico's office. 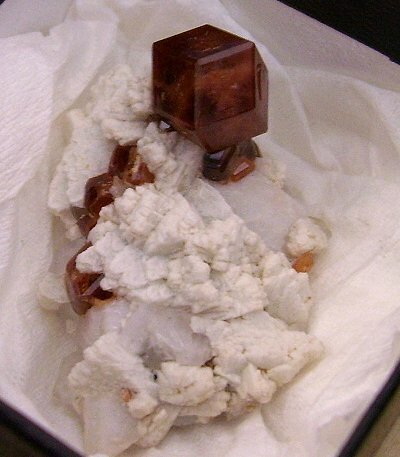 A specimen of pezzottaite on amazonite in Federico's office. 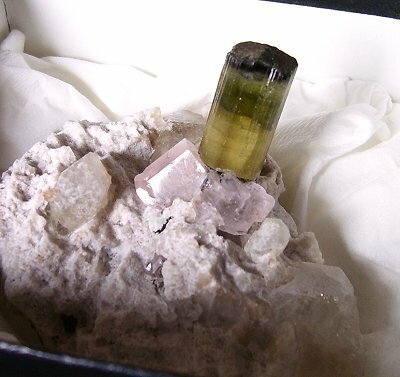 Some very interesting things are coming out of Mt. 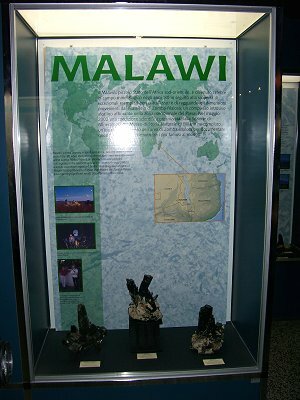 Malosa in Malawi. 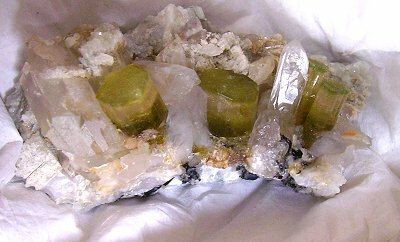 This is a specimen of smoky quartz hosting gem crystals of catapleiite. 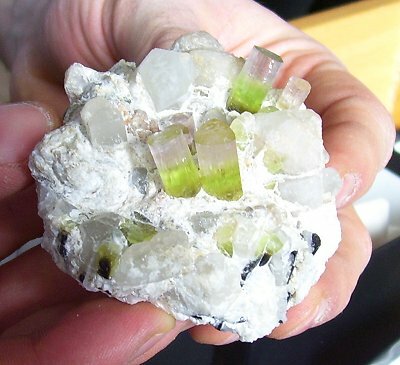 Catapleiite is best known from Mont St. Hilaire in Canada. 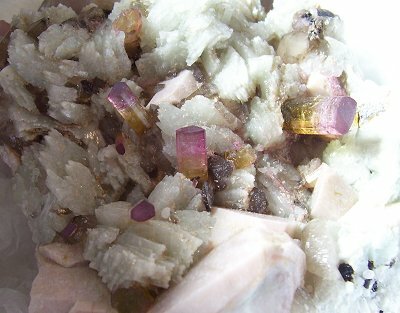 This specimen is about 5 cm from top to bottom. 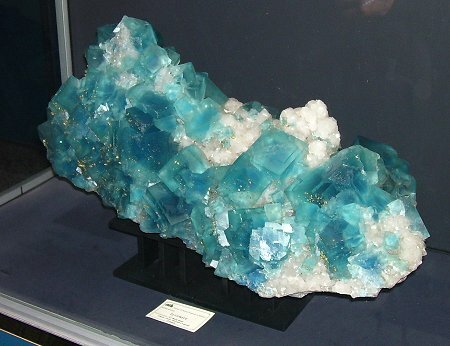 enormous specimen of sky blue fluorite from Le Burq, France. 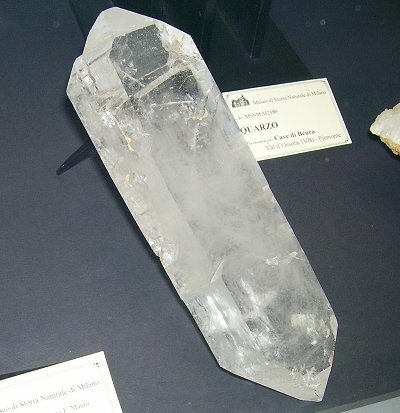 It is about 30 cm across or more. 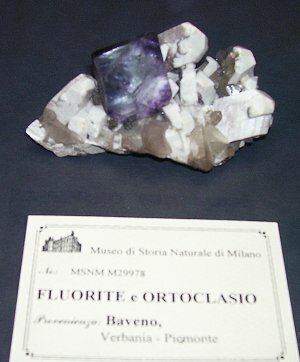 This is a specimen of fluorite with baveno twin feldspars from Baveno. 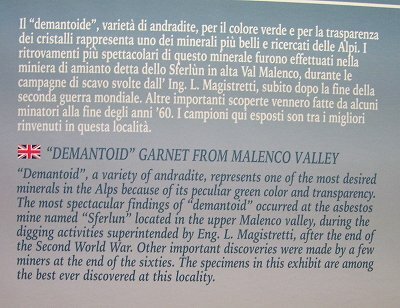 Italian demantoids are world famous and the museum has several outstanding specimens including this 25 cm specimen. 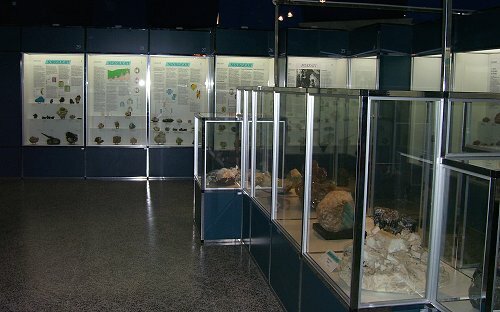 This is a general shot of the museum floor - just a small portion of the museum in this photo. 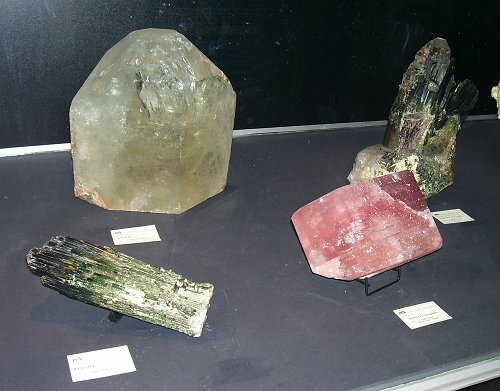 Federico has done a superb job of developing displays covering the science of Mineralogy. 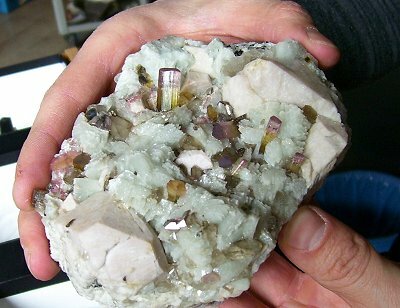 mineralogy of this fascinating deposit. 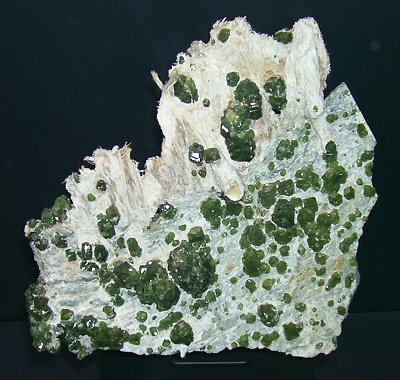 This is a large matrix specimen of elbaite from the Grotta D'Oggi quarry on Elba Island. 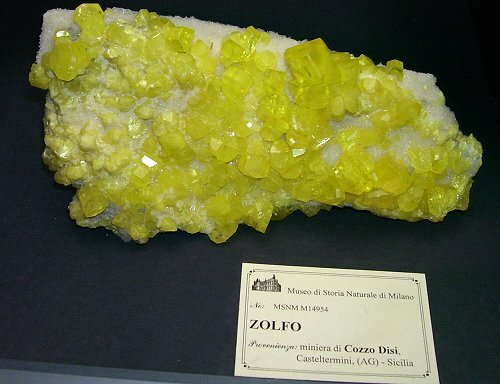 (pronounced Zoe nee o) near Beragamo, Italy. 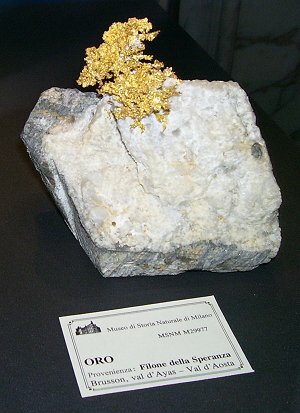 Two large matrix gold specimens from Val d'Aosta, Italy. 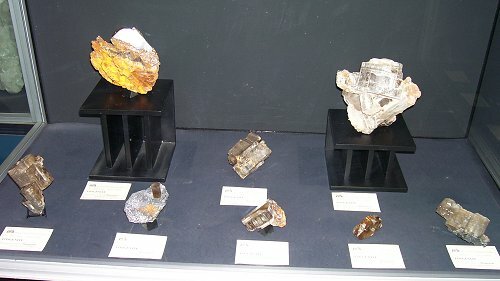 The specimen on the right is about 20 cm in length. 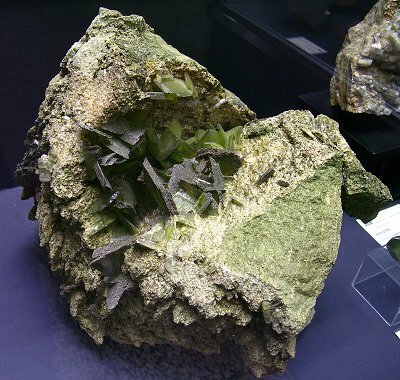 A fine display of phosgenite crystals to 9 cm across from Sardinia. 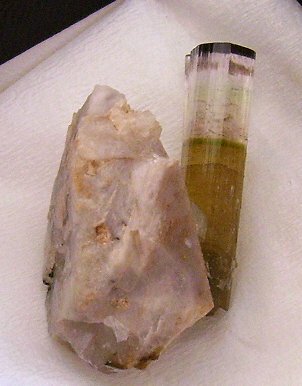 A 5 cm crystal of scheelite from Piedmonte, Italy. 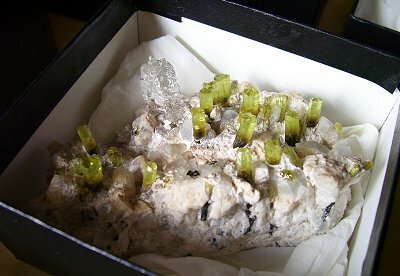 specimen with an exposed vug filled with deep lime green sphene crystals to 6 cm across. 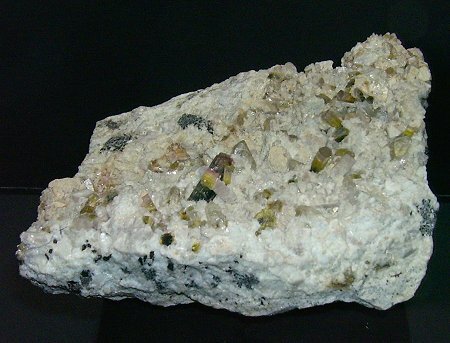 A display of large pegmatite crystals from Brazil. 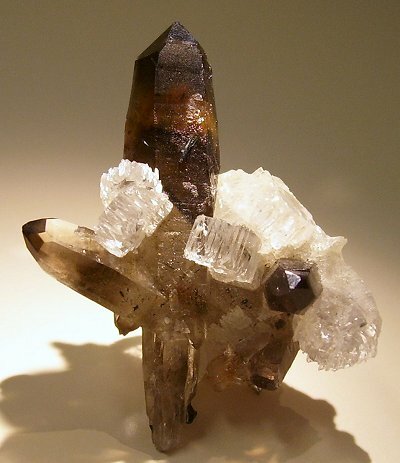 Topaz, Tourmaline, and morganite. 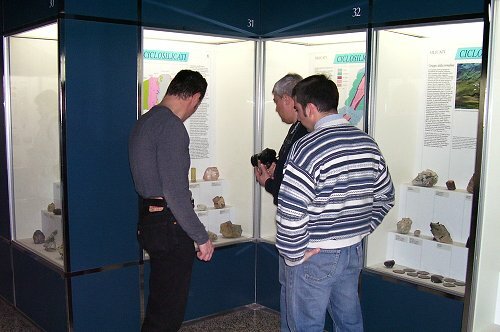 Federico Pezzotta and Emanuele Marini in a chat near the entrance of the museum. 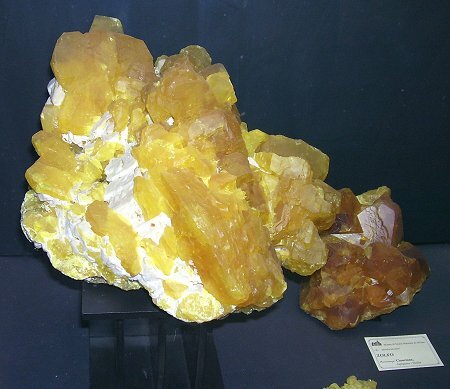 Two specimens of sulfur from Sicily. 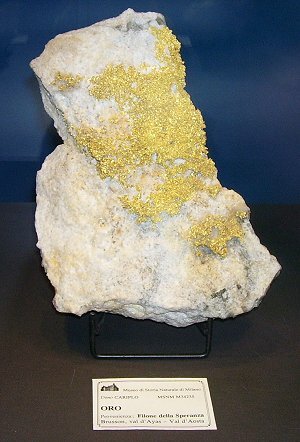 The largest is about 20 cm across. 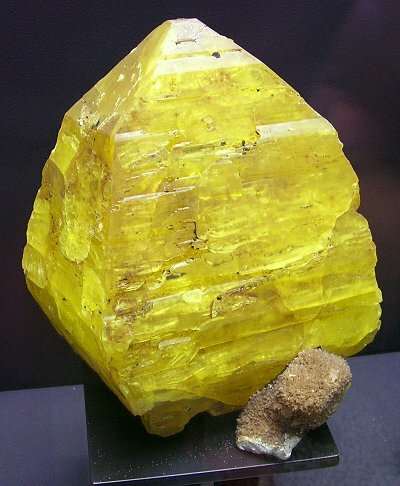 This is the largest single crystal of sulfur I have ever seen. 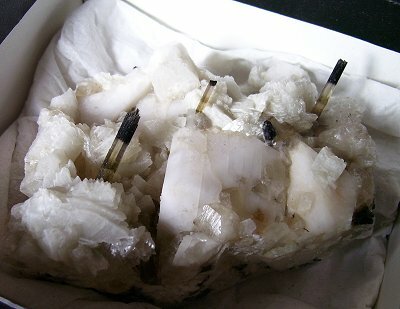 It is at least 20 cm from top to bottom! 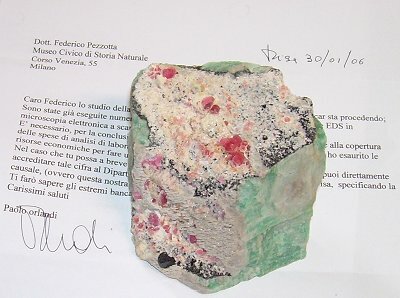 The following are images of the personal Elba Island collection of Federico Pezzotta. 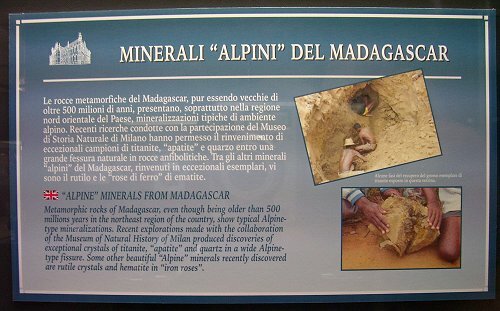 In all there are about 50-60 superb specimens most of which he has self collected over the last 20-25 years on expeditions to Elba Island. 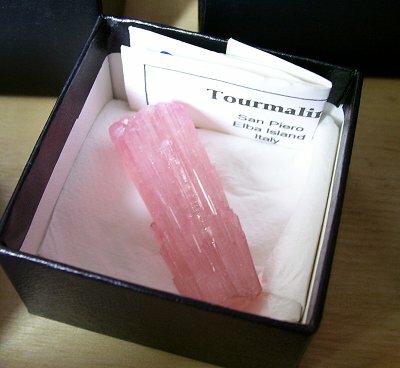 You have no idea how good tourmaline from Elba can get until you see a fabulous collection like Federico's. 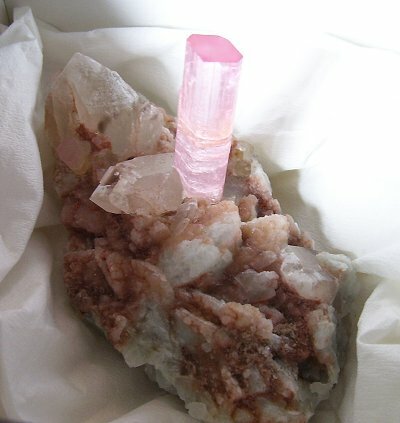 The following will only have a caption if there is a particular note of interest to pass along. 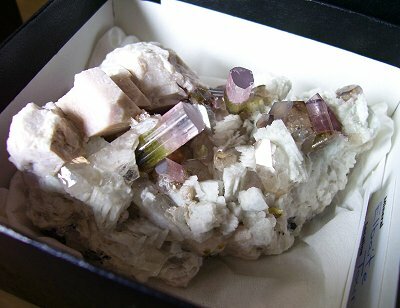 All of the specimens are from the various pegmatites on Elba Island. 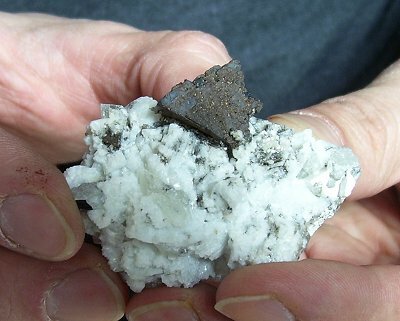 A shot of Federico and Alessandro who has proclaimed on many occasions that he is "Elba minerals addicted...."
The finest known specimen of spessartine from Elba. 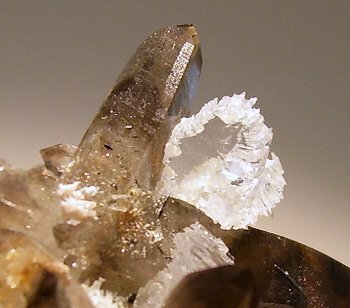 The crystal is about 2 cm across. 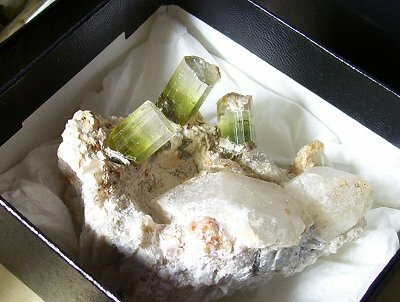 with Rob Lavinsky. 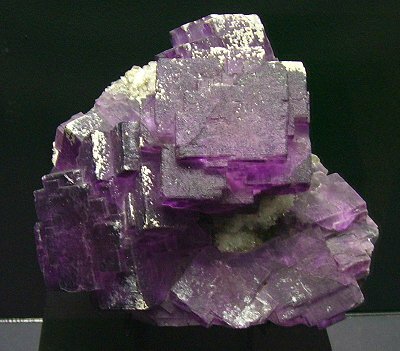 The "Barlow" label is one that I printed to convey the collection's pedigree. 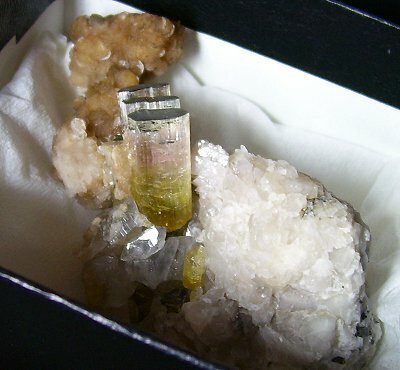 A superb group of standing elbaites with a water clear pollucite near the top of the specimen. 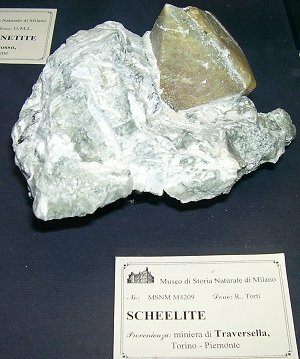 The only known helvite specimen from Elba Island. 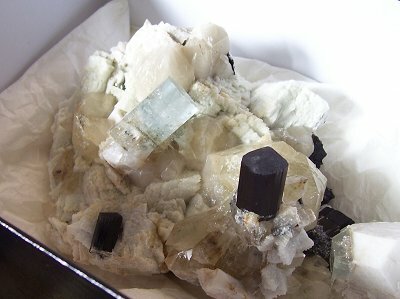 A fine aquamarine with schorl. 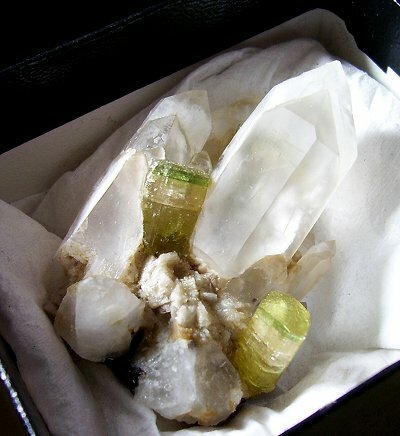 Like the one above it has to be seen to be believed.